” CISCO – Ever a Leg Up, Never a Let Up on IoE/IoT” – April 25, 2015. 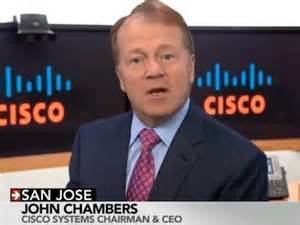 John Chambers, CEO, Cisco Systems Inc; U.S.A.
John Chambers, CEO of the Networking Giant, CISCO Systems Inc, goes over big with solemn affectation of dignity about IoE/IoT ( Internet of Everything/Internet of Things ) and the numbers he reels off in support is more than impressive and astounding. – Connected devices since Barcelona 2013 event is 13, 692, 430, 834. 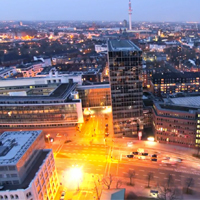 Hamburg in Germany, Use of IoE to connect parking, lighting, and traffic. If there is one company that wants to be in the forefront of IoE/IoT technologies and lead the move to tap in to the $ 19 Trillion opportunity to sell its networking equipment and consulting services while accelerating global industrial growth, it is CISCO indubitablement. Cisco’s major stake in connecting the unconnected is exemplified by its unique ‘Innovation Platform’ called the ” Cisco Hyper Innovative Living Labs ” ( CHILL ) created to take the chill off the grey cells of its associates and accend their creativity. 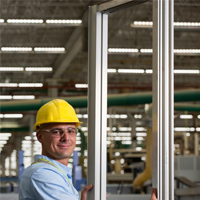 Adapting and connecting people, process, data and things from specific sectors of industry is its noble vision. Cisco’s 1720 sq ft Innovation Center in Barcelona will open during 2016 summer to be functionally prepared for the Mobile World Congress in 2017. By then it will also have similar facilities in South Korea, Brazil, Germany, Canada, and Rio de Janeiro. Cisco intends to invest close to $ 30 million for various facilities, IT equipment, procuring the services of engineers, and application developers from 2015 to 2020. 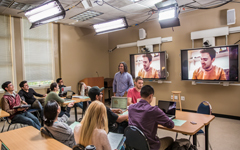 IoT – Connected learning initiative. Smart buildings; Smart street lighting; Smart parking; Smart grid; Public transport; water management; Waste management; Fleet management; Disaster response; Cyber security; Connected learning; Bridges maintenance; Gas monitoring are just a few areas of expertise and initiatives – specially in Public Sector – that any country can rely upon and be the customer(s) of CISCO Services. A host of other private initiatives are also on the anvil. Significant to note is the resolve, determination, and declaration of ISRAEL to be the first ” Digital Country ” in the World with Cisco initiatives. 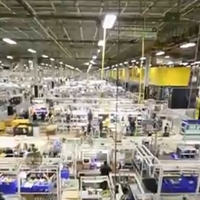 IoT initiative – Connected Factory. With India’s focus on the creation of sustainable and efficient ‘Smart Cities’ ( General Budget 2015 ), Cisco’s Smart City Services Solutions in making our dream a reality can never be stronger than now. India recognizes that major services in cities are becoming digital world over, and going beyond simply reacting, it needs to endeavor strongly to take full advantage of such services solutions. IoT initiative – Connected Health Care. 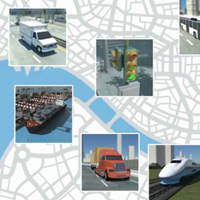 Cisco’s Services Solutions can help our city leaders to address the problems of traffic jams, overcrowding, pollution, resource constraints, inadequate infrastructure, and need for controlling economic growth. With peoples’ craving for proper and efficient access to government services escalating, and their aspirations to lead a quality of life sans any hurdle(s), creation of efficient services and well livable cities become paramount. IoT initiative – At Stanley Blank & Decker. Not just Cisco, but HP, IBM, AT&T, Microsoft, Intel, Citrix, GE, Juniper Networks and many others are convinced that IoT is “the” technology that can make the cities of the future. IBM announced its IoT vision last year. Microsoft joined the IoT market last year. UK created 45 million Pound Sterling IoT fund. Intel announced an IoT group last year. Many of these companies aver that to make things happen City leaders should initiate a genuine process of debate and discussion involving IT experts, business experts and not the least Academia in order to first identify major IoE/IoT opportunities in specific sectors. Just citing an example here : Indian Agriculture is fully woven in to the fabric of our citizenry as a whole and attempts to bring about better quality of living to the agri producers is by using modern technology tools like Smart Sensors and/or other networked/big data technology. Result will be seen in improvement of food quality and quantity coupled with shortened time period to achieve the same. Returns higher than anticipated/expected for a diverse category of produce, new jobs, and even new markets could be other rich possibilities. Only such efforts will mark ‘higher order leadership’ and ‘genuine commitment to the people’. Only such efforts have the potential to change the landscape of tech trends and applications in areas/sectors where the outcome can be disruptive in the society. Will India become a ” Digital Country “ and if so when? is what will cross the mind of every Indian now.